Regardless whether you run an online business or if you have a physical location, the importance of internet marketing in the world of business today is pivotal. To put it bluntly, if you don’t reach your target consumers online, odds are you won’t reach their business. Certainly, there are the small few that still rely on traditional forms of marketing; however, more than 90% of all consumers make their buying decisions based on information found on the internet. You may have an internet marketing campaign going, but are you getting the results you’d hoped for? Are your website visitors increasing? Has your social media following become bigger? Do you see a return of your investment? If not, you could be missing one very important component to your internet marketing strategy – search engine optimization. What in the World is SEO? You’ve likely come across the phrase search engine optimization or SEO for short. It is a set of rules by search engines intended to help website owners improve their search engine rankings. With the right use of keywords and phrases, companies can improve their social media pages and websites to increase their chances of being seen my consumers looking for their products or services. So Just Why is SEO So Important? SEO puts you ahead of the competition. According to SEO Utah company SearchBloom, around 97% of all online consumers conduct research before deciding to make a purchase from a particular company. 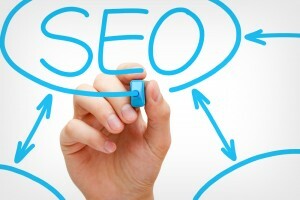 SEO helps to improve the chances that you’ll be at the top of their search result list. Conduct keyword research. You need to know exactly what keywords your target audience is searching for as it relates to your business. Knowing this will help you to determine which words should be included in your content, on your website and through your social media pages to improve search engine results. Utilize keywords frequently (without going overboard). There is essentially a science to keyword placement and you want to be careful to follow all the rules. You don’t want every sentence on your website to be the same keywords and phrases over and over again (or you’ll risk being marked as spam). However, you also don’t want to use keywords so infrequently that it doesn’t register to search engines. Keywords should be used sparingly on your website, content, and social media pages to generate impressive results.